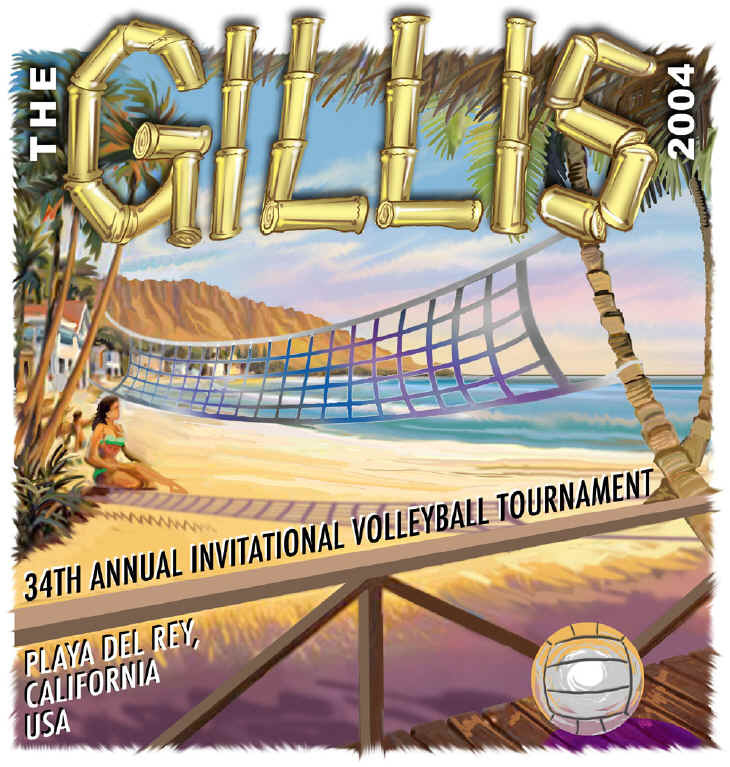 The Gillis Volleyball Tournament was started in 1971 by Steve and Dave Cressman at Gillis Beach, in Playa del Rey, California. That first year, 17 teams participated, playing on one court. 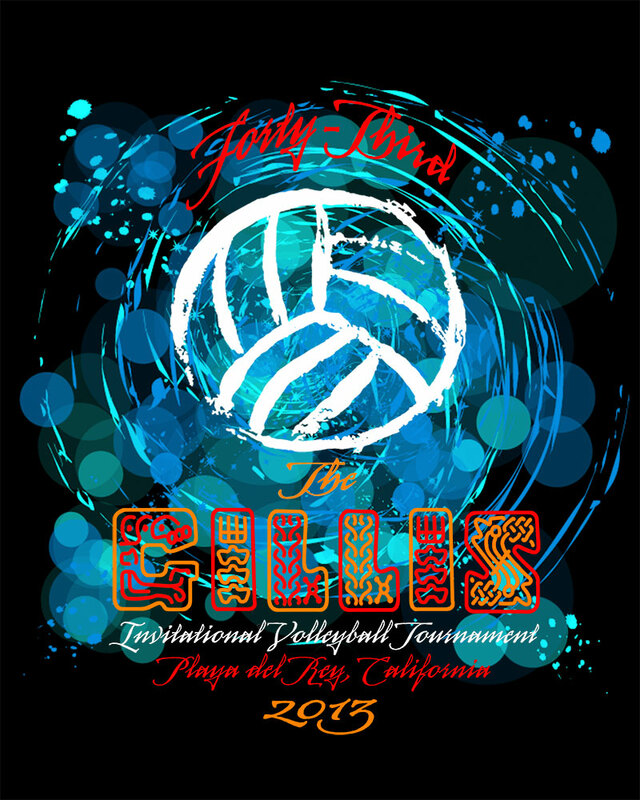 At this year’s 40th tournament, there will be 170 teams with over 600 players, playing on 28 courts. 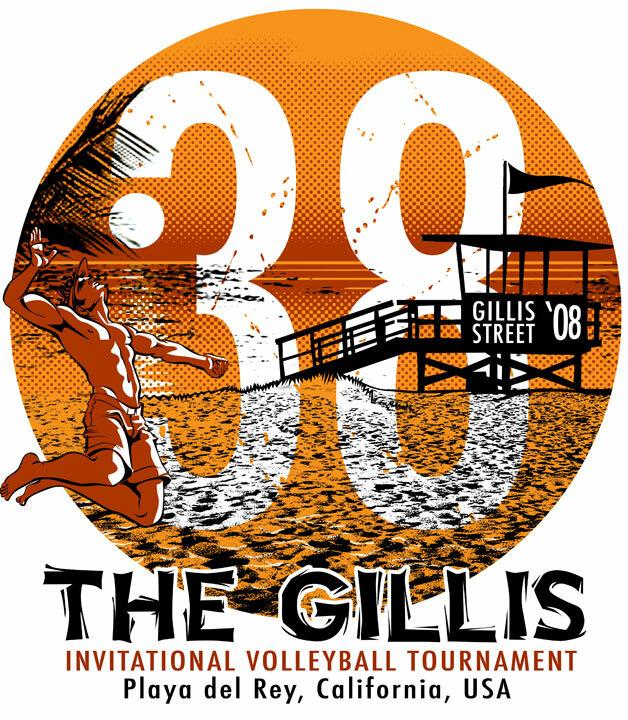 Gillis Beach was named after a one block-long street in Playa del Rey called Gillis Street that ended at the sand. Junior high and high schoolers from Westchester High and St. Bernards High learned what the Southern California beach lifestyle was all about. The beach shoreline community was wiped out though in 1974 by expansion of the LA Airport’s west runway. 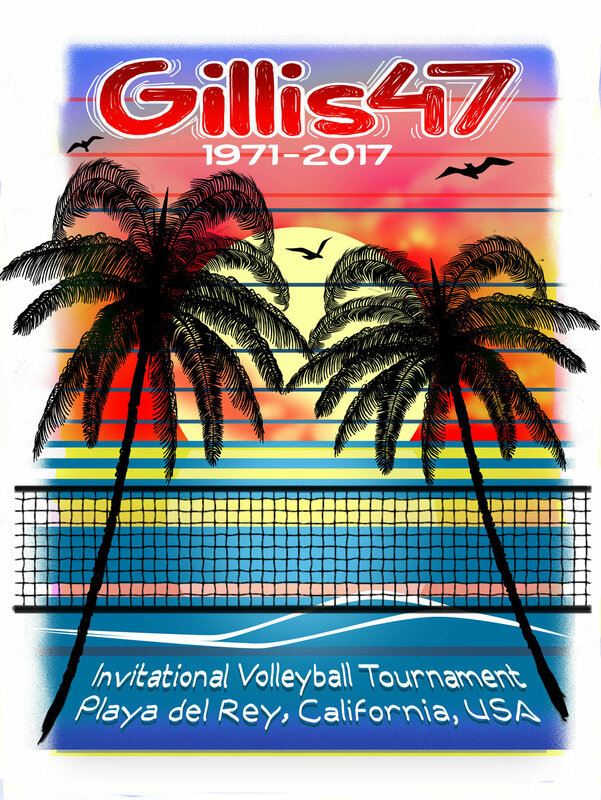 Although the neighborhood and homes were gone, The Gillis tournament continued there until 1980. 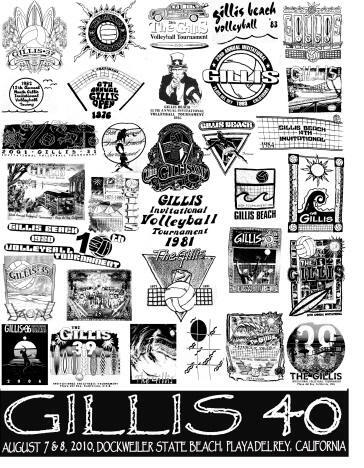 It was that year when the city dredged the marina of sand and dumped it on Gillis Beach, destroying the 10 courts that had been built over the previous 10 years. The tournament was then forced to moved to Toes Beach, 1 mile north, for a run of 25 years. 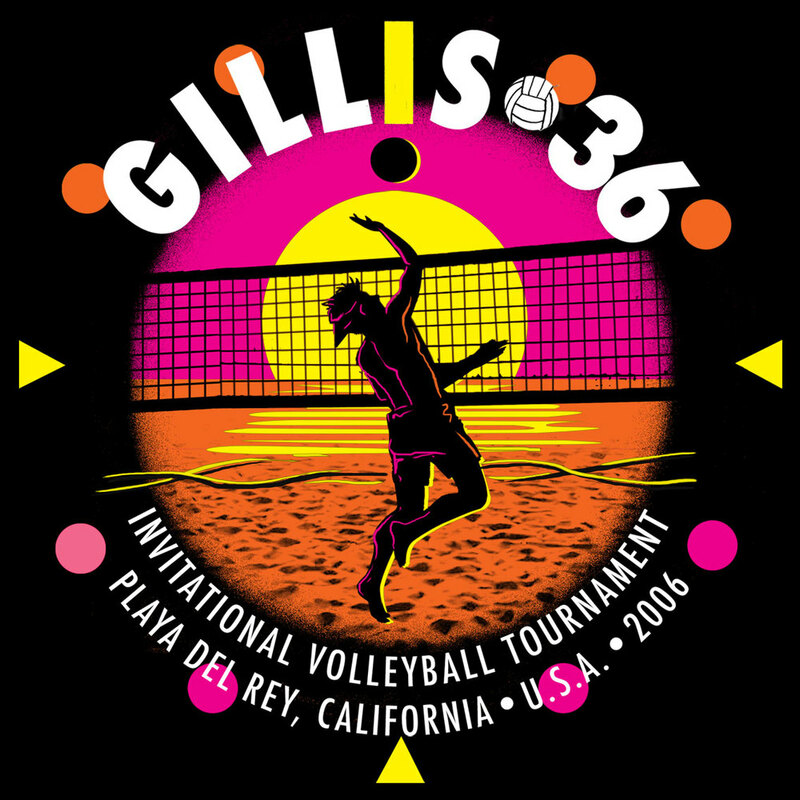 In 2005 the county forced another move on The Gillis to the southern-most point of Playa del rey called Dockweiler Beach. 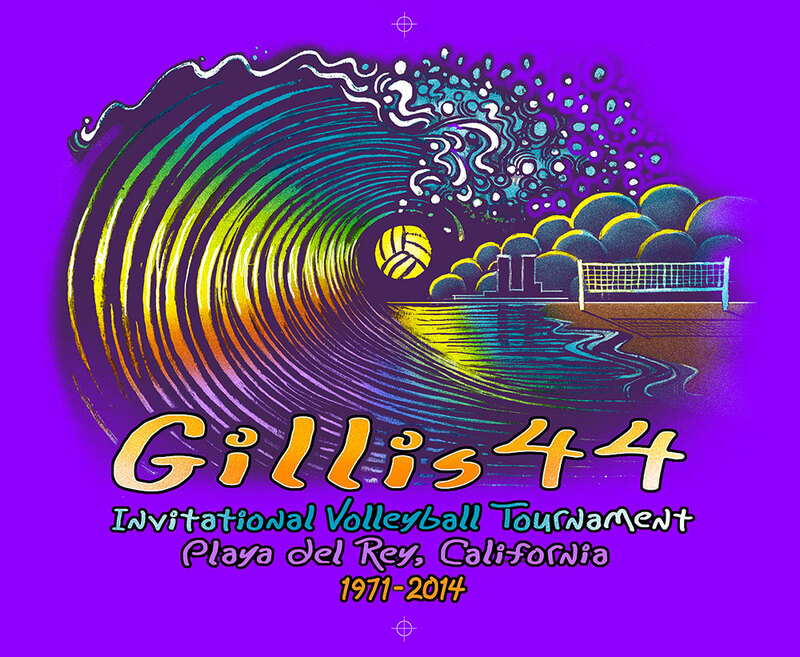 The history of Playa del Rey and of Gillis Beach is preserved through the tournament each year as a reunion for those that grew up here. 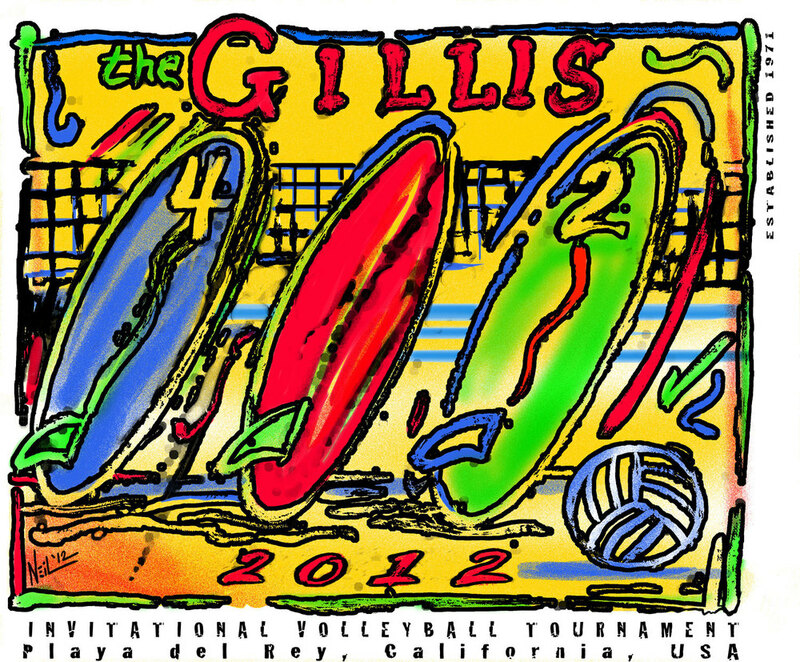 This makes the Gillis a “locals” event like none other. The many brackets that make up the tournament are designed to place each skill level alongside the same type players. This gets everyone up and playing, instead of sitting and watching. The costumes and matching trunks, camps and skits that are part of today’s tournament came about over many years of evolution. What started as a contest in 1980 for the best homemade trunks, changed when one team crossed over that line into costumes. Then skits developed around those costumes, then camps to go with those skits. Friday night before the tournament has developed into a building event where teams prepare their camps for the weekend ahead. The Toast began in 1981 when Scott Arbanis and Vytas Karilius wrote a poem and brought a bag of toast, roasting their fellow players in the process of dousing them with bread. Every year since, the previous year’s winners have been given the same opportunity. The King and Queen were there from the beginning, but crowns were never given out just for beauty’s sake. 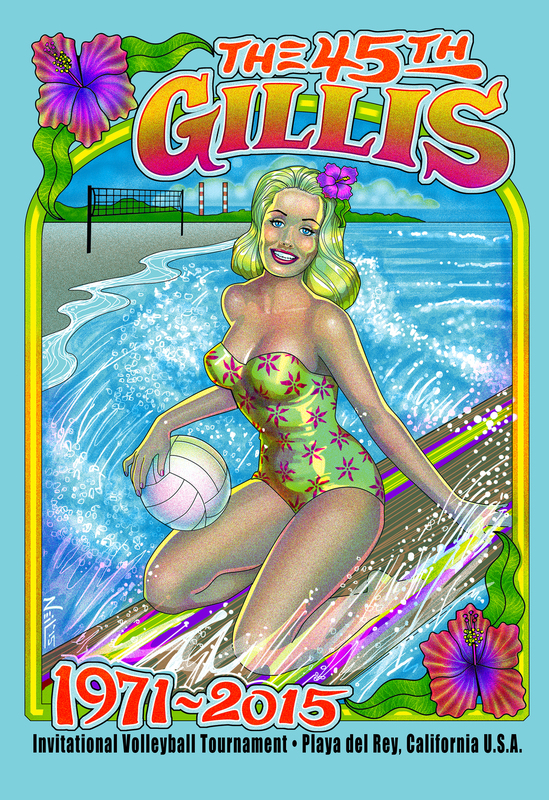 They were specifically for individuals who brought and gave a big part of themselves to the spirit of the Gillis. Showtime developed out of a need to consolidate all of the skits that were happening throughout the day, into a performance contest where all players could stop, and appreciate all of the work and preparation some of the teams went through, as well as enjoy the show. 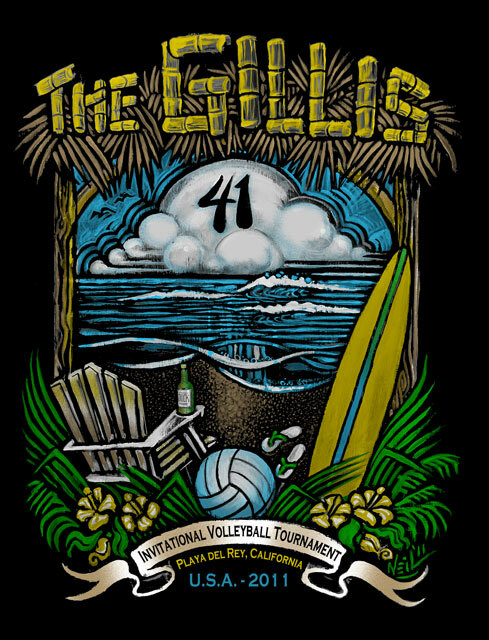 The “Gillis” is a Playa del Rey tradition that has taken on a life of its own through the personalities and efforts of the people who participate. It is an invitational, not open to the public at large, and manages to keep its obscurity by not seeking a larger audience. We hope to pass this tradition on to the next generations of Gillis kids. It’s never too late to become part of the Gillis tradition. Join us!